Welcome to the new version of the Prodermal Rewards program. You no longer need a separate login for the Rewards Portal. Just log in to your regular Prodermal account. To access the Rewards Portal please click on the Use REWARDS link in the bottom right hand corner of your screen. Please note that it Rewards may not be available during some promotions. To log into your Prodermal account please click here. You receive Reward Points when you buy on our site. The $ required for each Reward Point varies from time to time, depending on current promotions and sale events. Your points can then be redeemed to claim a Reward Coupon. Use the Reward Coupon for a discount at checkout. Log into your Prodermal account when you arrive on our site. Add items to your cart as required. Click or tap on the Use REWARDS link in the bottom right hand corner of your screen. Select the best coupon for this purchase. Copy the coupon code, and then paste it into the Coupon Code field at checkout. NOTE to earn and redeem points, it is important that you log in as a customer (you must NOT checkout as a guest). how much is a Reward Coupon worth? The value of available Reward Coupons and the points to be redeemed for each coupon vary from time to time, depending on product pricing, discounts available, active promotions, changes in our costs and other applicable factors. Please visit the Rewards Portal for current details. Rewards Coupons usually require a minimum order value to use them. Some or all coupons may be suspended where heavily discounted promotions are active. what is the Rewards Portal? This is where you check your Reward Points balance and claim Reward Coupons. Access it by clicking or tapping on the Use REWARDS link in the bottom right hand corner of your screen. You are automatically enrolled in the Rewards Program when you open up a Prodermal account. can I earn points by referring friends? Yes, you will receive 100 points each time you refer a friend and they complete their first purchase from us. In addition, your friend will receive a discount coupon by email, which they can use with their first purchase. To refer a friend, click or tap on the Use REWARDS link in the bottom right hand corner of your screen, then click on the "Earn" tab. Reward Points are earned on the final value of each purchase after discounts and any coupons applied. Points are not earned on shipping fees. SALE items do not earn Reward points. 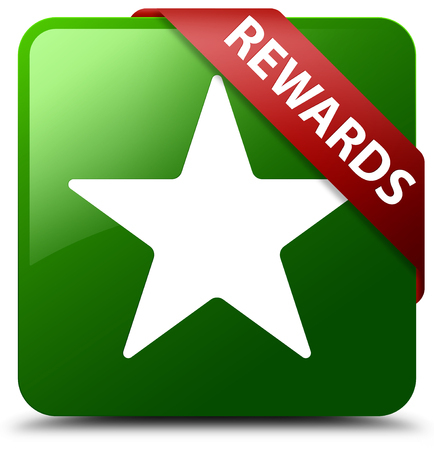 Reward Points and Reward Coupons are not transferable, and can only be used by the account that earned the points. Reward points may not be earned during certain promotions (eg when products are heavily discounted). You must transact as a customer and NOT as a guest. You need to stay subscribed to all Prodermal emails including emails from the Prodermal Rewards Program. Reward Points are allocated to you once your order has been shipped. If products are returned for a refund or store credit, Reward Points would be reversed accordingly. Once a Reward Coupon has been claimed, you must use that coupon within 90 days. Prodermal reserves the right to cancel Reward Points that have not been used within 1 year of earning them. Only one Reward Coupon can be used per order, and must be used in full with that order. Reward Coupon discounts are deducted before any cart level discounts / promotion discounts are calculated. This Rewards Program may be altered or discontinued at any time at the discretion of Prodermal. Prodermal would not have any liability in regard to unused points, termination of the program, changes to the program, or arising in any other way.